As a college student, your first credit card will be the first brick you lay in foundation of building your credit history and securing a high credit score. Without getting too dramatic, many life decisions will be determined by your credit score. Your credit score will be used to determine your eligibility for renting an apartment, buying a house, securing loans, and even used during background checks for employment. Don’t let the risk of credit card abuse scare you off - credit cards also have benefits- you can earn rewards and build your credit. In the short term, your credit score will help you be eligible for increased credit limits, earn rewards, and spend wisely in your daily life. Students and adults alike have been swept away in the world of credit cards by living beyond their means, and some of the most common student credit card mistakes leave students with thousands of dollars in credit card debt. Still, most students (and their parents) know that it is impossible to begin establishing a positive credit history without establishing some form of credit. For most parents and students, learning to use credit cards responsibly has not only become a priority, but also a necessity. Does it offer rewards or cash back incentives? How do you cash in on those rewards? Are there annual fees or membership fees? If so, can I avoid those fees? What is the APR? Do they have an introductory APR? A penalty APR for late payments? Does the credit card offer allow for balance transfers? Once you look at your options, apply for the card that is geared towards new borrowers who are building their credit. The Bank Americard Cash Rewards card offers higher cash reward options for regular expenses such as gas and groceries. There is a sign up bonus if you meet the $500 purchase requirement, and you continue to get more bonuses if you have a Bank of America checking or savings account). Discover offers student friendly options for both secured (Discover it Secured) and unsecured cards (Discover it Chrome). What is a secured card, you ask? Secured cards are credit cards that require a refundable security deposit before an account can be opened. The amount you deposit into the account becomes the dollar amount of your line of credit. Remember that Discover is not as widely accepted as Visa or Mastercard, so keep that in mind if you are travelling abroad. Also, you have to activate the bonus cash-back categories every quarter. First, let’s take a look at the Discover It Chrome for Students card. The “Discover it” Secured card is exactly what the name suggests- a secured credit card. 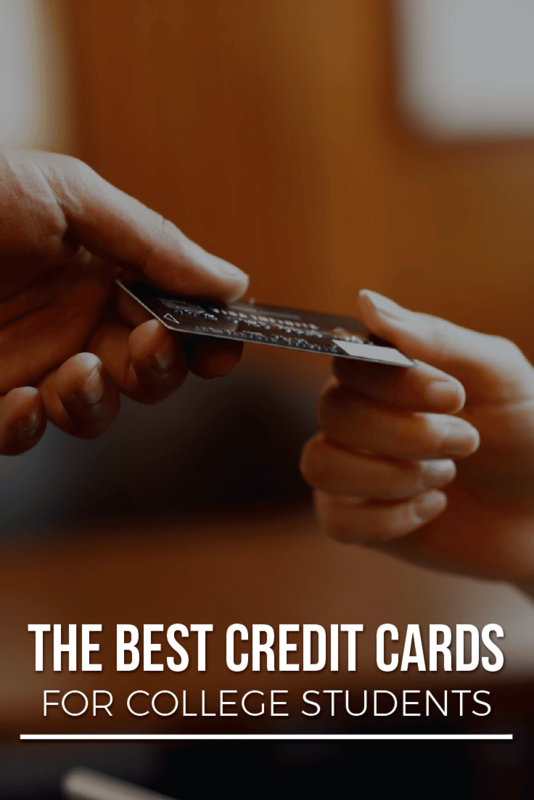 Why should I get a secured credit card when I could get a regular student credit card? There are advantages such as cash back and dollar for dollar match on all cash back earned during the year. It is also a good option if you have damaged credit. If you maintain good credit history by paying on time and using your card responsibly, you could be eligible for an account without a security deposit. Because the Discover It card is a secured credit card, it offers a quick solution for students with damaged credit (usually from co-signing with another borrower, or a parent borrowing on your behalf). All you have to do is prove your identity, and prove you do not have any pending bankruptcy proceedings. It is important to remember that a secured credit card is different from a prepaid debit or credit card. For instance, you cannot build credit with a prepaid credit card or a debit card. This is a great card for students who want to take advantage of the substantial rewards but are not eligible for an unsecured credit card. Discover It (secured) offers virtually the same features as Discover It Chrome, with the exception of the feature of additional cash back for students who maintain good grades. This is an ideal card ﻿for students who dine out frequently and have entertainment expenses. 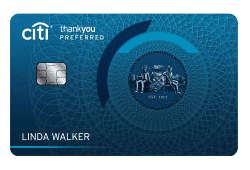 Citi uses a “ThankYou Points” system instead of offering cash back, which is generally a better option. Since one point is equivalent to once cent, it will take many points to reap the rewards of this program. Penalty interest rates can add up quickly, which is another reason to make sure you pay on time. This card has a penalty interest rate of a penalty interest rate of 29.99% and a foreign transaction fee of 3%. 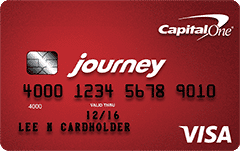 The Capital One Journey Student Rewards card is a good card for students with average credit, but they do not offer balance transfers. If you make your minimum payments on time, you get a 0.25% cash back bonus on all purchases made during the corresponding billing period. You can redeem your rewards as a statement credit or check in $25 increments. After five months of on time payments, you get an automatic credit line increase. They also offer the Capital One Credit Tracker feature, which provides you insight about your credit report. The Capital One Credit Tracker feature gives you free, unlimited access to your FICO credit score as well as a simulator for hypothetical situations that could impact your credit. The information related to The Wells Fargo Cash back College Card has been collected by The College Investor and has not been reviewed or provided by the issuer or provider of this product or service. The W﻿ells Fargo Cash Back College card helps new borrowers build credit and buy what they need while earning rewards. The 3% cash rewards on your basic necessities is a huge bonus in this category. Also, Wells Fargo has locations inside of many grocery stores for convenience. The Discover It Chrome card comes the closest to being the “full package”, with an intro 0% APR, substantial rewards, credit tools, and no penalty APRs. The only downside is that Discover is not accepted everywhere. The Wells Fargo Cash Back College Card comes in second as it offers an introductory APR and consistent cash rewards for basic necessity purchases. Bank of America also has a solid rewards program. Regardless of the credit card you choose, be sure to use your card wisely. Ideally, you will want to pay off your credit card balance each month so that you avoid accumulating unnecessary debt that could hurt you in the long run. Be careful of 0% APR offers, since late payments can cause a penalty APR to kick in, sometimes as high as 29%. If you fall behind on your payments or get late fees, try to resolve it as soon as possible. There are many ways to improve your credit score to avoid negatively impacting your credit, so make these changes sooner rather than later. Learn how to avoid some of the biggest mistakes you can make with your credit cards and fix them before they impact your credit card score. Just forwarded to my brother who’s starting college! Good way to help them build credit! Thanks for the share. I appreciate it.